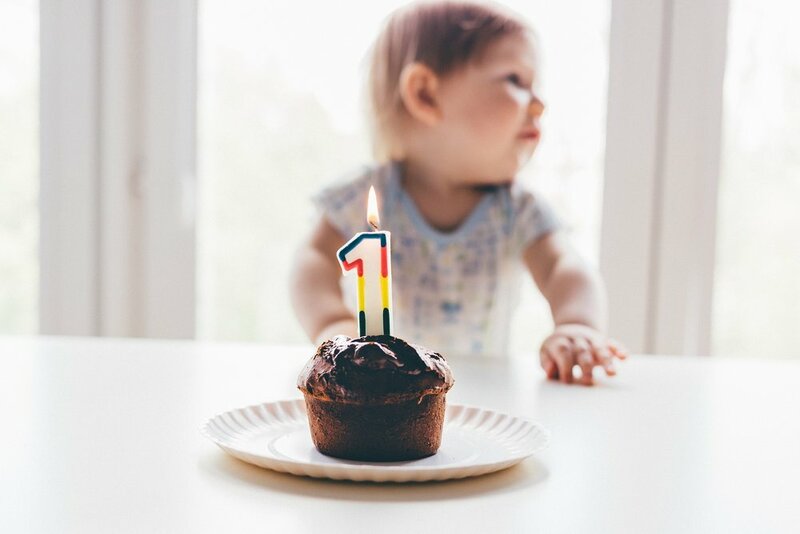 Planning your little one's birthday is both loads of fun and STRESSFUL. Deciding on a theme, choosing a location, making a guest list . . . and if you've got a birthday boy or girl under five years old it can be even more challenging to find a spot everyone will enjoy. Often these early parties have a wide range of ages for the guest list to accommodate siblings, friends, and cousins and it can be hard finding something everyone will enjoy. My two kids' birthday dates are eleven days apart, with two years between them. Since Mr M was born they've been sharing birthday parties. We've always done a home based party but after last year, when he had a Things that Go Vroom birthday party for his 2-4 year old buddies and she had a Rainbow Unicorn party for her 5-7 year old friends...it became, well, challenging to host two very different sets of ages and interests in one home - not to mention the larger and larger groups of friends each year! This year, when they turned six and four, we decided to move the party out of the house and try to find something that they'd both like and would be appropriate for a range of ages. 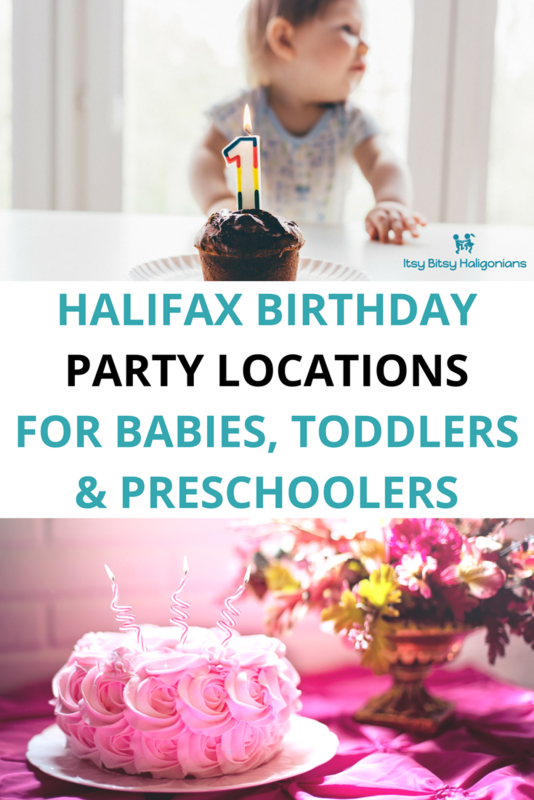 During my research I gathered up a list of places in Halifax that offer party ideas for little kids, most that are suitable for partygoers of various ages. It's not a complete list though so please add your other suggestions in the comments so others can see them (and to give me ideas for next year!!). The Little Gym in Bayers Lake has instructors to lead activities and games for the youngest of party guests, and provide a party room for snacks and cake as well. Pool Parties: Sackville Sports Stadium, the Canada Games Centre, Dalplex, Spryfield Wave Pool, and Cole Harbour Place offer pool party options. 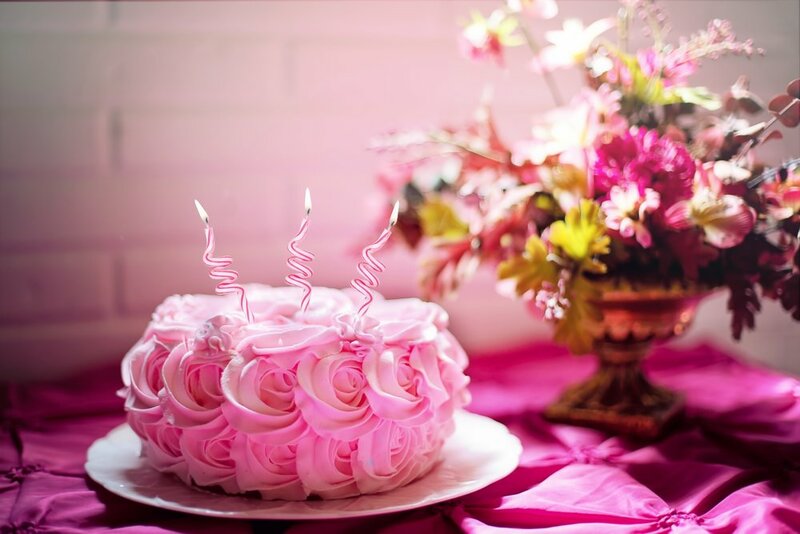 A party room is usually included in the cost though you will need coerce enough parent friends to be in the water with the kids to keep to their required ratio if you have kids under 8 years old. Some places give the full pool rental, some it's still open to the public. Cole Harbour Place offers a bouncy castle party. They have three castles on-site and have a party that includes food and a party room, as well as private time at the bouncy castle area. Space rental: If you just want a space outside of your home then Halifax Recreation rents out the gyms and multi-purpose rooms in most of their centres for an incredibly reasonable fee. So does PACT in Dartmouth and the Open Gate in Fall River, along with many church halls. You can bring in your own entertainment, or run something yourself. Museum of Natural History allows private groups to rent their museum party room which includes access to the museum. Build-A-Bear parties have each child building their own special stuffed animal. 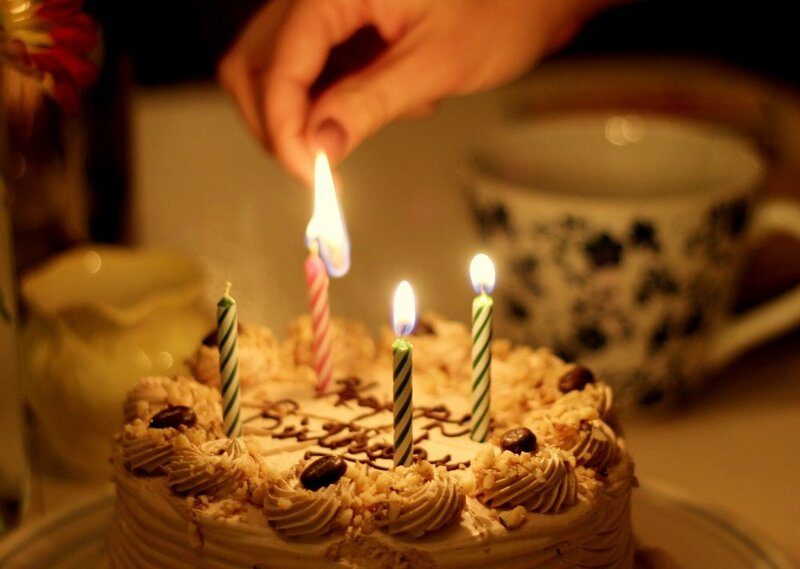 Note: They do not offer a private party room in the Dartmouth location for cake or food. Hatfield Farms birthday parties include a wagon or sleigh ride, time in the bouncy castle/playground area and food. Discovery Centre offers one party package geared directly at 4 and under. Their events typically include entertainment provided by the staff and time spent in the Discovery Centre itself. *Titans and TAISO Gymnastics also offer parties for little kids but I was unable to get the minimum age requirement before publication. Atlantic Cirque leads children through circus themed activities and offers a party room for guests to eat and open gifts in. Dalplex Fun Zone party includes time in the fun zone as well as the party room. Halifax Dance birthday parties include a dance class for the little partygoers, as well as space for the cake and presents afterwards. Studio In Essence has "fun with aerial silks, trapeze, hula hoop, bouncy castle, ladder wall, stability balls" for the children. 4Cats Arts Studio offers art parties for children turning three and older and have a variety of party styles to choose from. Bowlarama (all ages technically, but usually 3 or 4 is the minimum age to enjoy this) is a classic option for a party and typically includes a certain number of lanes per group. They offer bumper rails for the littlest bowlers. Most of the Indoor playgrounds around the city offer a party option - most are not private and you will share the space with other children with a private party room for a home base. This is also officially all ages, but is usually more suitable for the 3+ crowd, though some have fantastic, closed off toddler areas. Clay Cafe doesn't have a specific age requirement but 3+ is about the minimum age we hear recommended for this with support from the adults. Best for a small group. Atlantic Superstore and Sobey's offers cooking parties which includes a hands-on lesson for kids. 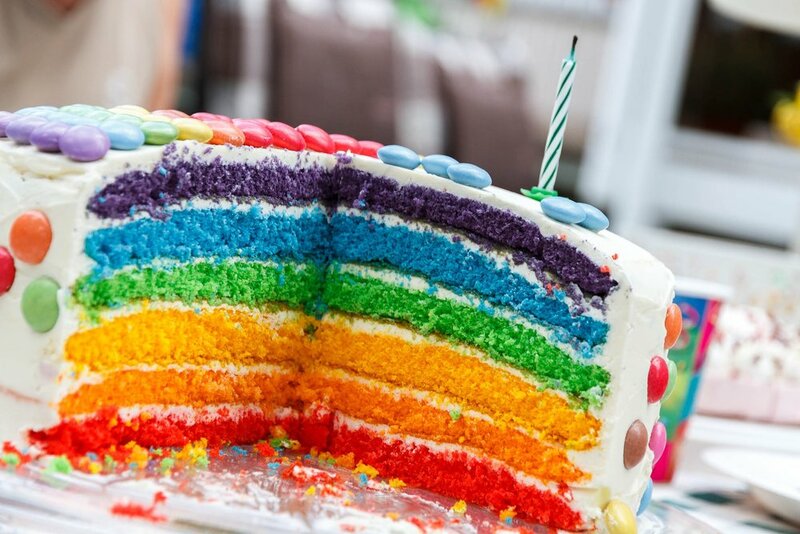 Michael's offers party packages with a variety of themes to suit your child's interests. All the craft supplies are included, as well as an instructor. *Disclaimer: I have no affiliation with these organizations; research, register and attend at your own discretion. 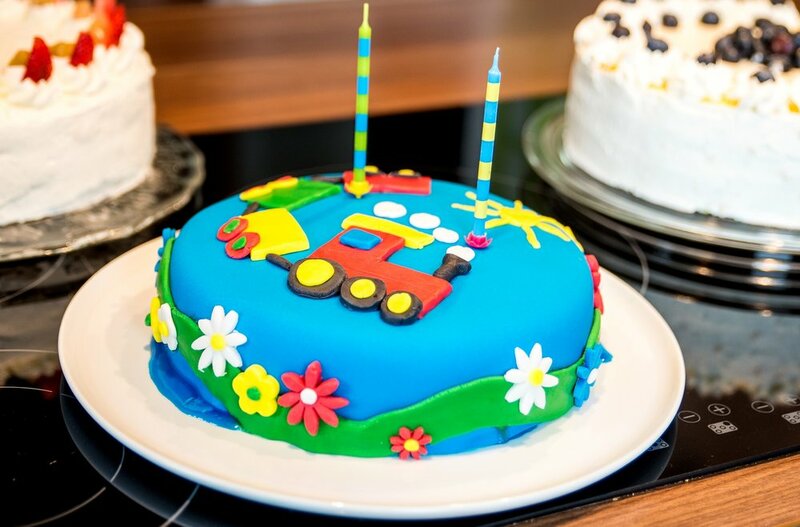 Do you know any other locations in the Halifax area that offer on-site birthday parties for kids under five years old? If so, please leave them in the comments below!